When we heard about the possible reunion of Matt Damon and Ben Affleck, we almost lost our minds. Then we simply created visuals for our emotions. You’re welcome. Stop what you’re doing… Just stop. We’re about to drop some heavy news on you. 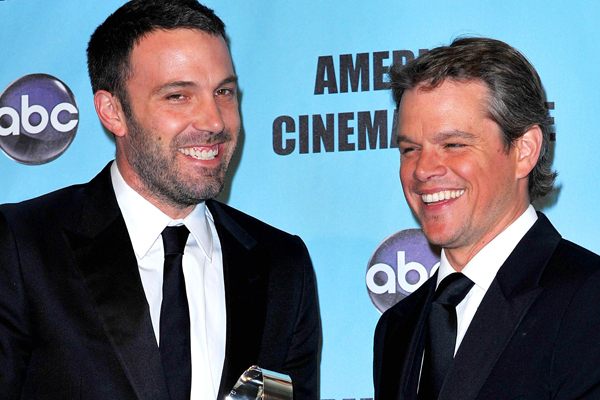 Per Page Six, Ben Affleck and Matt Damon might be reuniting soon for a brand new film project. The two are reportedly being recruited by Harvey Weinstein for his movie, A Speck in the Sea. The Weinstein Company has recently acquired the rights to the story, first published by Paul Tough in The New York Times Magazine. The film follows the true story of lobsterman John Aldridge, who fell overboard in the Atlantic Ocean in 2013 and kept afloat by hanging onto a pair of rubber boots for 12 hours before being rescued. Sounds like a perfect project for Damleck (Damon + Affleck)… Afflamon? We’ll work on the name later. Are you as excited as we are, or are you one of those “normal” people?